Casey Donovan exclusive: "How I lost 36kg and there’s more to come!" The former Idol star is glowing with health and happiness after dropping five dress sizes. 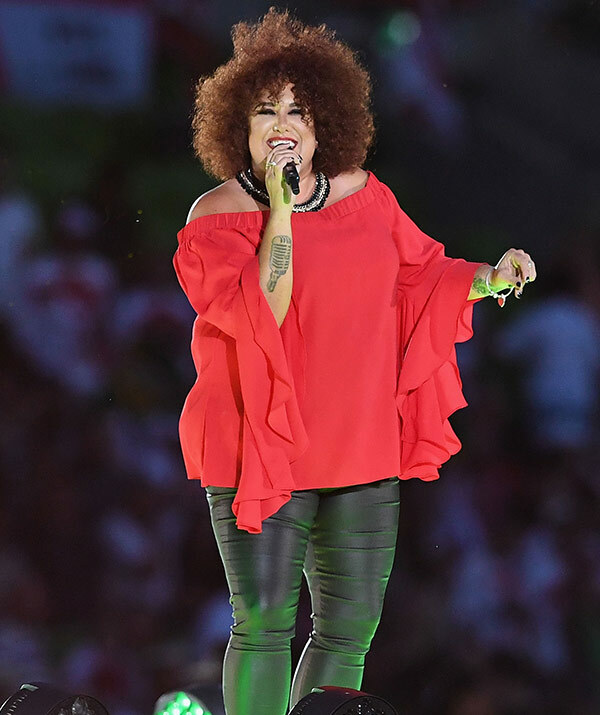 Casey Donovan hasn’t felt this good since winning Australian Idol 13 years ago – and now the I'm a Celeb winner is almost back to the weight she was as the shy 16-year-old schoolgirl from Sydney’s western suburbs who sang her way into our hearts. "I can’t remember the last time I bought a size 18 pair of jeans," Casey told Woman's Day during an exclusive photo-shoot. The songstress, snapped here in 2013, has always been open about her weight struggles. Ever since her stint on I'm a Celeb, she feels like a whole new woman. "It’s been amazing going into shops and grabbing the extra large sizes and finding I can fit into medium and large now." Admitting, "My skin has started feeling and looking better and I’m more alert and I have a lot more energy." "I’ve even started to jog!" Casey exclusively reveals to Woman's Day that she has lost another 19kgs since winning I’m A Celebrity... Get Me Out of Here! in March after starting a simple Facebook weight-loss program. In fact, she’s now lost 36kgs since January. After entering the jungle Casey lost 17kgs. Today Casey has lost a total of 36kgs! Casey admitted that after surviving on beans and rice in the jungle, she stacked 7kgs back on in just six weeks eating McDonald’s and drinking alcohol when she returned home. Casey then decided she couldn’t give up on her vow to get her weight under 100kgs after the show. "I could see myself making all the same mistakes and I knew I had to do something." The 29-year-old embraced some huge lifestyle changes, with the help of an online program WLCW (Weight Loss Coaching Works). So many people have encouraged Casey on her weightloss journey, including pal Kris Smith. The singer swapped a diet of fast food and carb-heavy meals for a high-protein diet and started to walk up to 15,000 steps a day – including 5000 steps before breakfast and often also walking up to 90 minutes at night to complete the challenge. "Everyone has noticed the weight loss, and everyone has been really nice about it," Casey told us. "And I’m certainly not finished yet. I realise it’s time to increase my exercise." Casey is ready to find love. Casey says she’s growing in confidence thanks to her recent weight loss, and now she's ready to explore romance, despite giving up on dating sites. "I’d love to meet someone," she admitted. "I’m almost 30. I’ve never been in a relationship except a fake one for six years [when a female friend conned her into believing she was her boyfriend during an online relationship], so yes, I’d love to meet someone when the time’s right." For Casey Donovan's full photo shoot and to find out more about her remarkable workout and diet routine, be sure to pick up a copy of Woman's Day.